Founded in 1949 by Giulio Castelli, Kartell is a leading design company that is recognised around the world as one of the symbols of Italian design. It started as a manufacturer of automobile accessories, and later expanded into home furnishings in 1963. But the brand became well-known due to the ingenuity of Anna Castelli Ferrieri, a female designer and architect known for her use of plastics as a design material in creating Italian contemporary furniture items. With that said, Kartell has been recognised all over the globe as the pioneer in the use of modern day plastics. 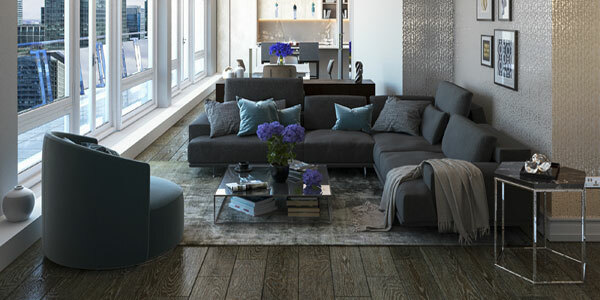 For over 60 years, the company has established itself as a leader in manufacturing modern furniture lighting, home accessories and interior design. All throughout its lifetime, it continues to collaborate with world-renowned designers, Alberto Meda, Antonio Citterio, Enzo Mari, Erwan Bouroullec, Maarten Van Severen, Philippe Starck, Patrick Jouin, Ron Arad and Tokujin Yoshioka, to name a few. In 1998, Kartell opened its first store in the United States on Green Street, New York City. Additional stores were subsequently opened in Atlanta, Boston, Los Angeles and San Francisco, all of which were handled by Ivan Luini, the then president of the U.S. division. Today, Kartell continues to embrace the ongoing evolution in the use of plastics. Combined with experimentation with new technologies and processes, the company was able to introduce plastic furniture products with diverse properties in terms of flexibility, softness and touch, transparency, colours and resistance to the elements. Kartell now has 130 single-brand flagship stores and 2500 retailers. Apart from pioneering the use of modern day plastics, Kartell also revolutionised the use of thermoplastic in modern furnishings. Along with cutting edge technologies, the company was able to create multifunctional products with bold, charismatic and visually appealing designs. Clients can easily differentiate Kartell from other brands with its signature colours, unique shapes, and transparency effects. Years of research and experimentation, led to a furniture design with a modern appeal, style, durability and functionality. All of Kartell’s products are 100% Italian made and tell an incredible story. Most of them are multifunctional and very easy to use, two characteristics that hold appeal for clients all over the globe. Manufactured by a company that pushes innovation beyond the limit, it is easy to recognise Kartell-made products. It would also not come as a surprise that the company has received a string of awards. It has received nine Compasso d’Oro prizes, one of which is the Bubble Club Sofa that snagged the award in 2001. The two-seater sofa is made entirely of plastic and is designed by Philippe Starck. 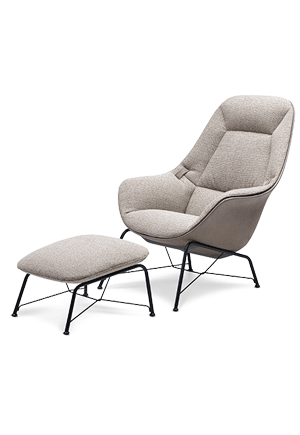 It features soft contours and sleek backrest and armrests. The Masters Chair, on the other hand, recently received the 2010 Good Design Award by the Chicago Athenaeum. It was a creation that pays tribute to three contemporary designs — the Series 7 by Arne Jacobsen, Eiffel Chair by Charles Eames and the Tulip Armchair by Eero Saarinen, which are interwoven to create an entirely new and impressive chair. There is no mistaking, when it comes to plastic home furnishings, only one name stands out — Kartell.